Looking for iPhone 5c repairs Melbourne CBD? Head down to Fixspot for high-quality repairs in just 30 minutes or less. We are located on Swanston Street, just a short 5 minutes walk away from Flinders Street train station. Our prices are the lowest in Melbourne, but that doesn't mean our repairs lack in quality. All our repair technicians are professional specialists with years of experience in their field. And if you are unhappy with our repair, we also offer one-year repair warranty. As for repair time, there's a reason why we're called Fixspot. With our repair times of 30 minutes or less for minor repairs, we fix phones on the spot at Fixspot. With over ten years experience in electronics repairs, your iPhone 5c is in capable hands. In just 30 minutes, we will return it to you looking and working better than ever. 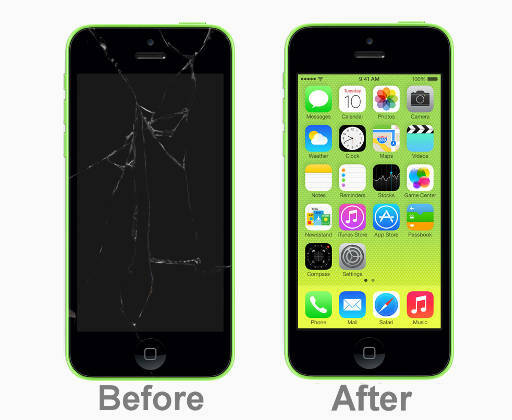 Contact us today for your iPhone 5c repair. If you need further information on our iPhone 5c repairs Melbourne CBD, please don't hesitate to contact us.